He asked and you answered yes! Congratulations! Now, what’s next? Telling the world, of course! Invariably, the world will follow-up with “when’s the wedding?” and “where’s the reception going to be?”. Basking in the glow of your engagement can be short-lived, but planning your wedding can be a joyful time. When you met your fiancé and fell in love, it’s likely you discussed your wedding ideas as you grew more serious about your future together. By blending your concept of the ideal wedding, you’ve come up with a meaningful celebration which reflects lovingly the two of you and your commitment to each other. The most memorable weddings do just that-celebrate your unique union. By customizing every aspect and detail to reflect your personality, you make the day-from ceremony to send off-uniquely your own. Your celebration can’t take place at just any wedding reception venue in Northern Virginia. You need a truly special and memorable venue, customized just for you. At Rose Hill Manor you can design your own perfect day. Whether you are looking for a venue to host your entire day, from wedding ceremony to the following reception, or just the reception, Rose Hill Manor can make your special day memorable for a lifetime. Nestled in the gentle slopes of the Blue Ridge Mountain’s eastern base, flanked by rolling hills, amidst 23 lush acres, stands Rose Hill Manor. This historic home is a fine representation of Jeffersonian Architecture, with white columns, large outdoor spaces, gorgeous landscaping, and views worthy of a moment’s pause. And that’s just the exterior of this exquisite wedding reception venue in Northern Virginia. Inside the home, you’ll find gleaming hardwood floors and wainscoting, elegantly appointed furnishings, chandeliers and crystal sconces lending a graceful ambience to the interior that’s reminiscent of the period. As a backdrop for your lifetime of memories, there is no better wedding reception venue in Northern Virginia. Wedding photographers find their muse in the magical opportunities for creative and unique wedding photos. When you and your families create the guest list, your first concern is making sure your venue can provide the space you need. You don’t want a venue that’s too large a space, nor do you want your guests tripping over one another on their way to the dance floor. 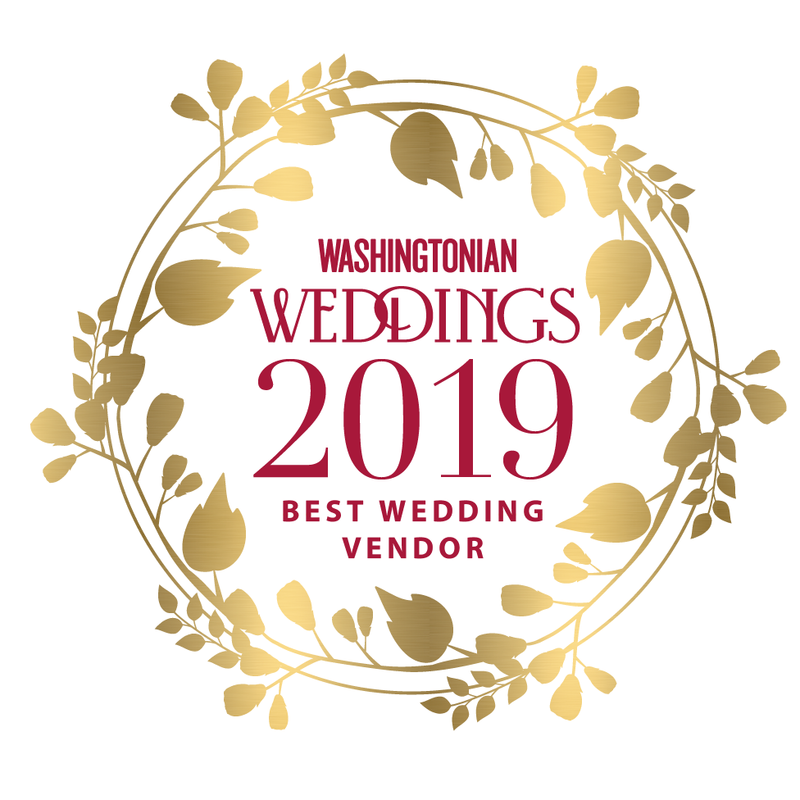 You want a wedding venue in Northern Virginia that feels like it was made-designed-specifically for the purpose of your most wonderful celebration. There are three locations within Rose Hill Manor which can accommodate any size wedding reception. Each area has it’s own charm and character, and lends itself well to any type of function. From an intimate gathering to a large scale event, you won’t find a lovelier and more versatile wedding reception venue in Northern Virginia. The Grand Ballroom has 24 foot ceilings and provides enough space to comfortably suit your large guest list. The Small Ballroom is equally as impressive, with large windows, offering a panoramic view of the lush grounds. For a truly classic, yet intimate, celebration, the traditional Entrance Hall is an especially lovely space. Consider making your vows on our stunning patio. Commit yourselves to one another in view of the Blue Ridge Mountains, underneath a legendary Virginia sky, or as the sun sets in every shade of purple and pink. Our patio can be arranged to accommodate your guests and we will have a back-up plan in mind, in case of weather. Begin your life together in a manner reflecting your own personal style and charm. Find the venue in Northern Virginia that was designed just for you. Our caring staff will assist you in every way possible to ensure your very special day creates beautiful memories for you and your guests. Rose Hill Manor is your perfect wedding reception venue.